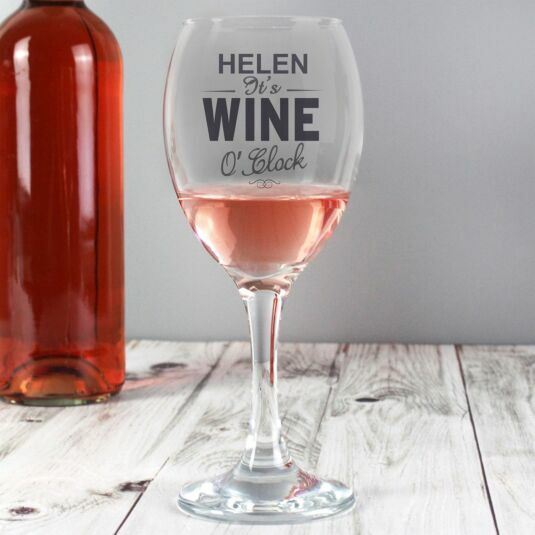 A wine glass that gives instructions we all want to hear! 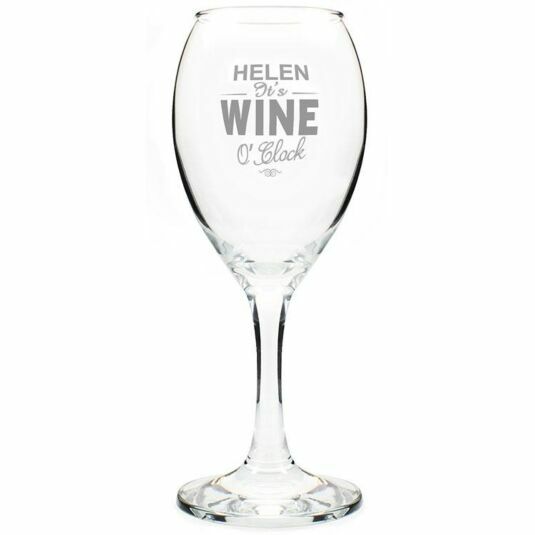 This personalised Wine O’clock wine glass is the perfect gift for any wine lover, complete with delicate engraving and personalisation. The words ‘It’s Wine O’clock’ are fixed text and cannot be personalised. Add a name, with a maximum of 12 characters, to appear above the fixed text. This will automatically appear in UPPER CASE. The personalisation will appear as a frosted glass effect.